The New York Botanical Garden (www.nybg.org) held its annual Orchid Dinner at the Plaza Hotel last night. Underwritten by Hearst, Veranda, BNY Mellon, and Louis X111 Cognac, this highly visual and enchanting event serves as a fundraiser for NYBG’s enviable orchid collection research. 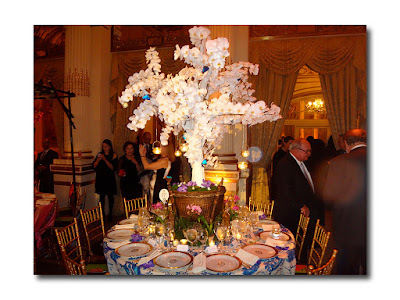 The Gala Chairmen were Vera Aryeh and Robert F. Gossett, Jr., Sharon and Bill Jacob, Susan and George Matelich, and Tina and Steven R. Swartz. 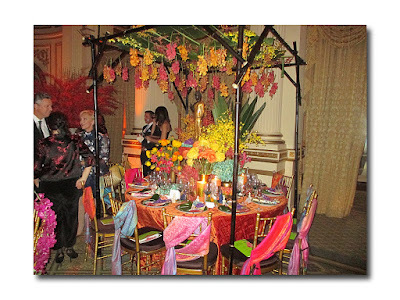 Clinton Smith,Editor in Chief, VERANDA served as Chair and Decorations Chair was Carolyn Englefield, Director of Decoration and Special Projects, VERANDA. The Honorary Chairmen were Mary and Marvin Davidson, Kamie and Richard Lightburn, and Deborah and Chuck Roy. The theme of this year’s orchid show (which runs from February 18th through April 9 and is now in its 15 year), is Thailand. The southeast Asian country which is home to over 1200 native orchid species is known for its glorious orchids, acclaimed tropical gardens, orchid breeding, and rich cultural history. The exhibition in the Enid A Haupt Conservatory features a breathtaking array of blooming orchids set in a lush tropical garden, ending dramatically with a large arched façade in the style of a traditional Thai pavilion—festooned with hundreds of exquisite orchids. Unsurprisingly, several guests seemed to have factored in the exotic and colorful theme of the evening in terms of their dress (the evening called for cocktail attire). 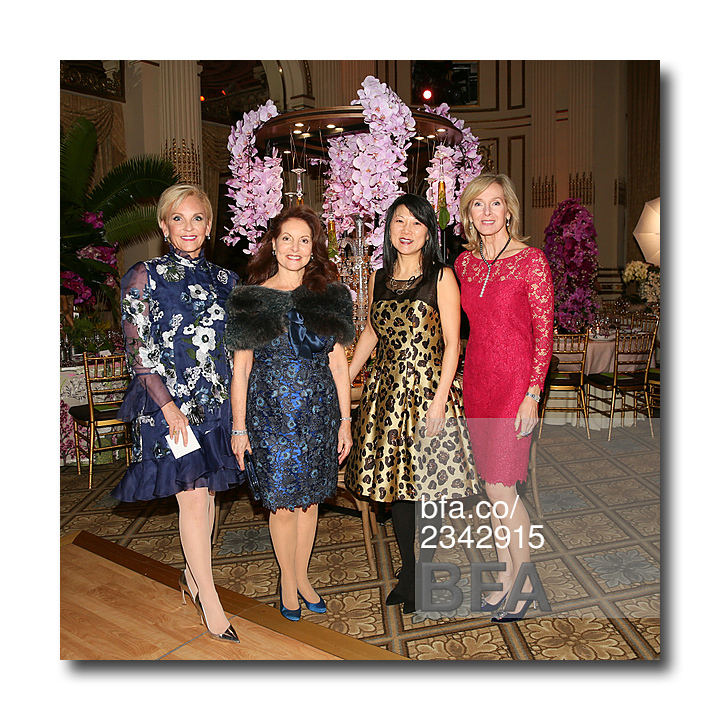 There was a smattering of florals, pink (as seen on Maureen Chilton, Chairman of the Board of The New York Botanical Garden), and vivid red. But while most of the attendees stuck with New York black, one young woman who stood out from the rest was Charlotte Simpson. 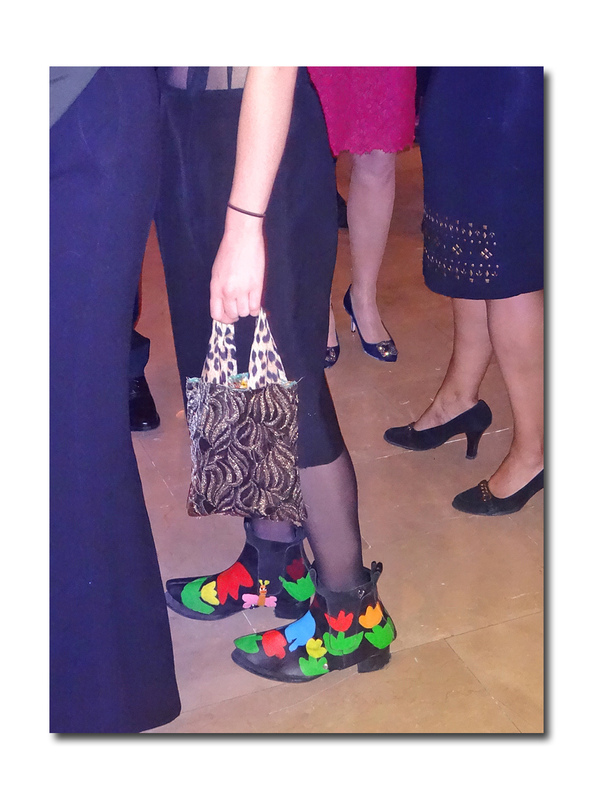 Her dark hair was tinged with bright blue and she accessorized her short black Calvin Klein dress with her grandmother’s bag (a patchwork of lame and leopard), and whimsical, eye-catching, colorful tulip and elephant decorated Comme des Garcons spats (from a few seasons ago she offered). The West Coast based student and writer also happens to be Sigourney Weaver’s daughter. 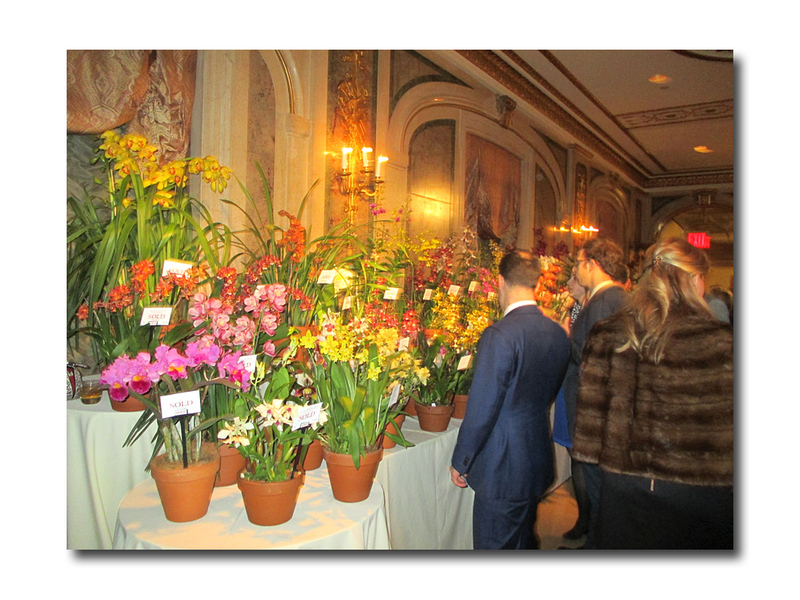 Ms. Weaver, who was also on hand last evening, is not only an acclaimed actor, but an avid gardener who sits on The New York Botanical Garden Board of Trustees (Charlotte got her love of flowers, and especially orchids, from her mom). 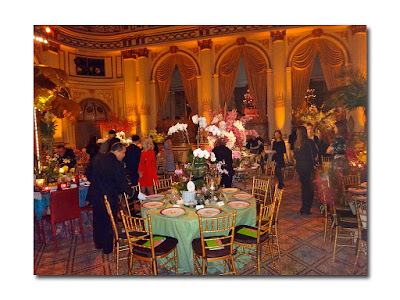 But in any case, no matter how well dressed one was last evening, it would not have been possible to upstage the glorious orchids: the true stars of the evening. The night began at 7 with cocktails, a sale of “rare and exceptional” orchids (leading orchid experts were present to help those pondering their choices) and a Silent Auction of exclusive orchid themed items. At 8 pm, guests made their way into The Grand Ballroom for dinner and dancing. 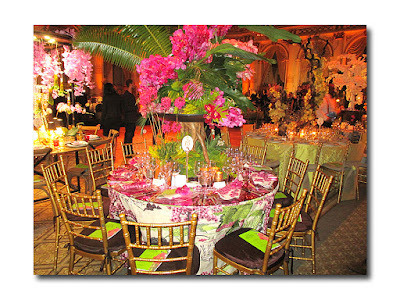 The room was literally transformed into a tropical paradise with each of its glorious tables punctuated by the resplendent, thoroughly imaginative and inventive orchid centerpieces; the work of approximately 25 leading designers representing the worlds of fashion, horticulture, and literature. 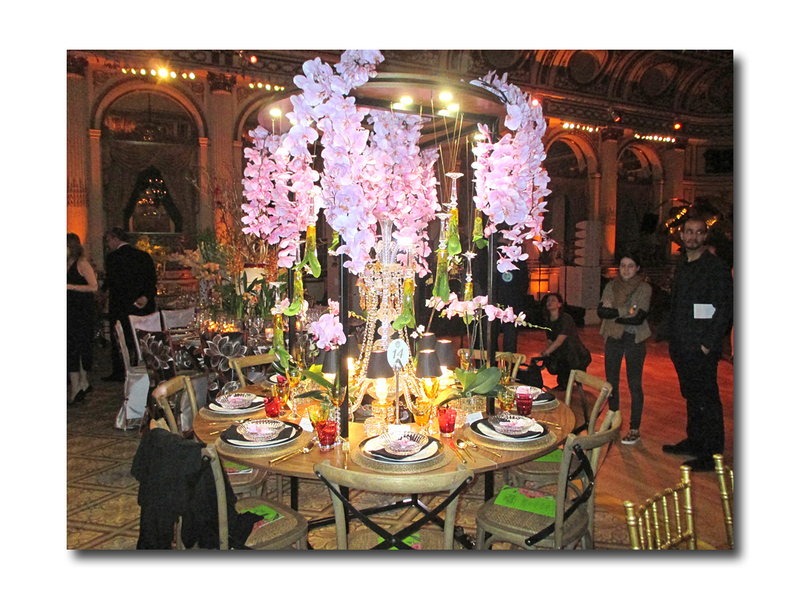 Orchid Dinner Table Designers included Baccarat with Jung Lee, Brockschmidt & Coleman, Cullman & Kravis, Drake / Anderson, FlowerSchool New York, Paris Forino Interior Design, Ellen Hanson Designs, Lindsey Coral Harper, Robin Henry Studio,Kathryn Ivey Interiors, Byron C. James, Juan Villanueva, Shelley Johnstone Design,Lindsey Lane Design, Katie Leede, Lewis Miller Design, Richard Mishaan Design, Kapito Muller Interiors, John Oetgen, Oetgen Design Inc., Hilary Pereira, Eddie Rossfor ATGStores.com, Shaun Smith, and William Yeoward Crystal. Design sponsors were Fabricut, Frontgate, Samuel & Sons, Stark, Style Library, Thibault, and Zimmer + Rhode.